Indesit Company wanted both to mark its 100th anniversary and showcase the future of the brand. Pre-event planning: Indesit Company wanted to organise an event that would celebrate the centenary of its Hotpoint brand, while launching new products to around 1,000 major and independent retailers. Victoria House Basement in London's Bloomsbury was selected for the product launch, planned to take place over four days from 8 to 11 May, while the Grafton Hotel was chosen for accommodation and Quaglino's restaurant for a gala dinner. Agency Line Up was appointed in January to produce the event, following a three-way pitch. Objectives: Indesit Company events manager Jayson Weston says the key focus for the event was communicating the message that the firm has "100 years of experience, but is looking forward". To tie in with that, the event was named Indesit@100. 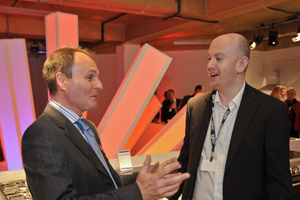 As well as sharing business messages from senior executives, Indesit wanted delegates to experience its brands in a memorable way. Challenges: Creating an interactive and engaging environment for delegates to experience 270 products was a key challenge. In addition, between six and nine groups of up to 40 delegates were planned for the live event each day, so logistics needed to be tight. An evening event that would stand out was also essential, as Weston needed it to provide a suitable celebration of the 100th anniversary. Solution: At the Victoria House Basement, the main venue for the product launch, a shop front was created at street level for small groups of attendees to be greeted by commerical director James Goldsmith. As they descended the stairs, delegates were led through a brand experience using original products in different kitchens from the 1950s to 1990s to showcase Indesit's journey from 1911 to 2011. 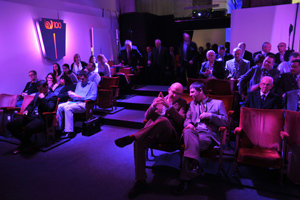 They were then greeted by a popcorn seller before entering an old-fashioned cinema - created especially for the event - where senior management presented business, brand and innovation messages. The experience continued as each group was led into the showcase area. 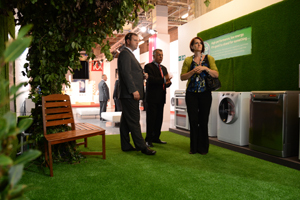 Innovation and eco-tech areas aimed to showcase the future of the brand to delegates, while the themes wet, cold, hot and black highlighted different elements of Indesit's business. For the gala evening at Quaglino's, Line Up senior producer Kath Wallace worked with the team from West End show Chicago to organise a performance in the restaurant itself on each of the gala nights. Photos taken during the evening event were published in a newspaper - the @100 Times - which was handed out to guests to take away. Client verdict: Weston says: "The whole thing about the live event is making it an experience - feedback from delegates was that they liked the quirkiness of seeing the products in the environment we created with Line Up." Post-event analysis: Questionnaires distributed with the @100 Times asked delegates to rate the event as well as their relationship with Indesit. Meanwhile, Weston says that sales "exceeded expectations". "The new products were greeted with enthusiasm," he adds.